February was just frivolous and fun! I flew off to Delhi to co-facilitate a conference, home to Mumbai then a few days in Goa where I made a quick trip to Paul John distilleries too! For our regular whisky tasting sessions, I played host to two! A bit cheeky, I twisted our original underground club‘s most sacred of traditions – blind tasting – by teasingly revealing the bottles from three independent bottlers… who did not disclose the distillery on their labels. Then even more sneaky, I planned to repeat the performance with our Bombay Malt & Cigar gents to see what they thought of the selection. My idea was to contrast and compare tasting experiences… alas the BMC night was postponed to April however here is a sneak peak into what the original club thought! My Whisky Lady posts began the month with a great big THANK YOU for so many who have been integral to making it possible to have such copious content and memorable experiences! In lieu of our original planned evening, the Bombay Malt & Cigar gents shifted gears to enjoy their version of a ‘Bar Night’ with a Gurkha cigar. 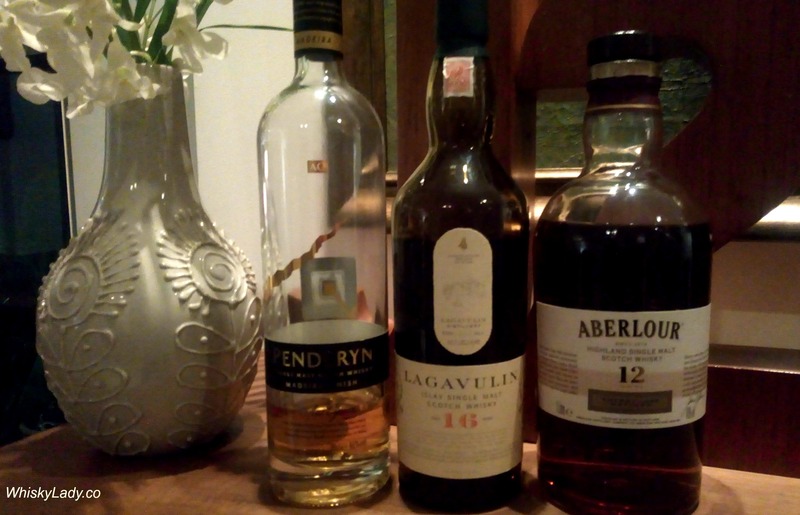 There was some debate over the tasting order and, in retrospect, it could have had the peatier Lagavulin last, swapping place with the Aberlour. However it all worked out in the end! The two of us who sampled it earlier, were reminded of why we found it an interesting conversation whisky. While not for everyone, there is a distinctive quality to it that cannot be ignored. It also turned out to be the dram choice of the night for most gents, as it complimented our Gurkhas rather well. In short, a beautiful whisky! What a treat to return to a familiar friend…Those who once upon a time treated the Lagavulin 16 as a bar ‘staple’ were reminded of why that is the case – its ability to have balanced peat and sweet. And how did the Lagavulin fare with the cigar? A contrasting pairing, with the whisky the predominant note. The whisky was oddly disappointing as it was a pale comparison with the more familiar A’bunadh. And yet it was an absolutely perfectly balanced pairing with the cigar. Though it wasn’t our original plan, the substitute ‘bar night’ theme worked rather well. 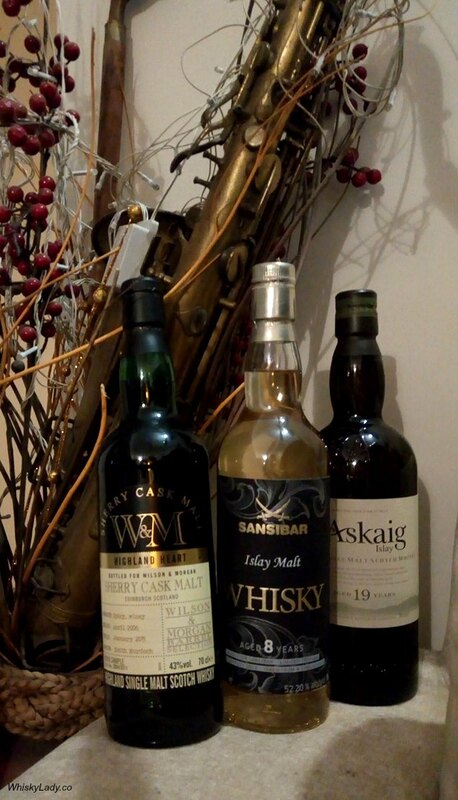 What would you chose as a trio of more accessible drams for a sociable evening? We interrupt our regularly scheduled programming on quality whiskies, somewhat serious reviews and general pontificating to introduce you to a fine Bombay tradition – the BAR NIGHT. Now, what you may say makes ‘Bar Night’ here any different than another part of the world? I’m so delighted you asked! You see we have a fine colonial tradition of ‘gym khanna‘ in these parts… bastions for a certain sort that once upon a time some were frequented by those mad dogs and Englishmen. Since then, membership at such clubs may still remain a privilege and yet from time to time a few of us ‘riff raff’ get invited into these rarified domains. Enter ‘Bar Night’ where more sociable evenings happen opening the doors to members guests on a wider scale. In our impromptu BMC version, we opened up the ‘Bar Night’ liquor cabinet of our host. 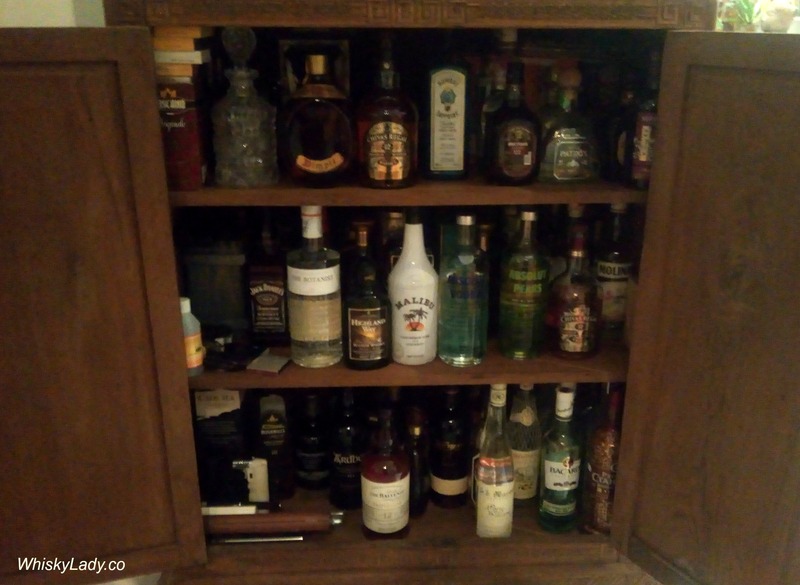 Let’s admit it folks – most of us with a prediliction for quality drams have our ‘jaanta’ (masses) cabinet with an assortment of ‘bar booze’ and then our special ‘reserved’ section hidden away from prying eyes. Helps avoid those gasps of dismay where a crazy expensive rare single malt is shocked with a bucket of ice or horror of all horrors drowned in soda or some other fizzy substance that has no business going near a prime whisky! Don’t worry, I haven’t gone all crazy snobby, just some whiskies DO deserve a different sort of treatment. Last in our Nordic Explorer‘s session was another whisky from Denmark’s Stauning Distillery. A definite step up from the rye, the Staining Peated has an overall restrained quality. Stauning Peated is made of malted barley, gaining its smoky characteristics from drying the malted barley with peat smoke from peat excavated by Klosterlund Museum. It is then matured in first-fill ex-bourbon casks from the bourbon distillery Makers Mark. With this, our Nordic whisky adventures are now officially over… Thank you again Thomas for a wonderful trip! We never would have otherwise had an opportunity to try such a range of drams from Denmark, Finland, Norway, Sweden and even Iceland! Next up in our Nordic Explorer‘s session was a whisky from Denmark’s Stauning distillery. Stauning was founded in 2005 by nine whisky enthusiasts in western Denmark with a dram to make a Danish dram that uses locally sourced grain, locally malted and, where relevant, using Danish peat. Encouraged by a meeting with Jim Murray and his positive reviews of their early results, the team bought a farm near Staining and built new premises in 2009. Perhaps it is just that my Nordic whisky lady companion and I are simply not partial to rye whiskies or perhaps it was just that after the fabulous Teerenpeli Kaski, the Stauning Young Rye didn’t even come close to measuring up. It reminded both of us of the slightly peculiar grain experiments we recently tried from AD Laws – Triticum and Hordeum. Neither were to our taste. Perhaps a rye fan would find other elements we missed… That’s all part of the range of whiskies that appeal to different palates and preferences. 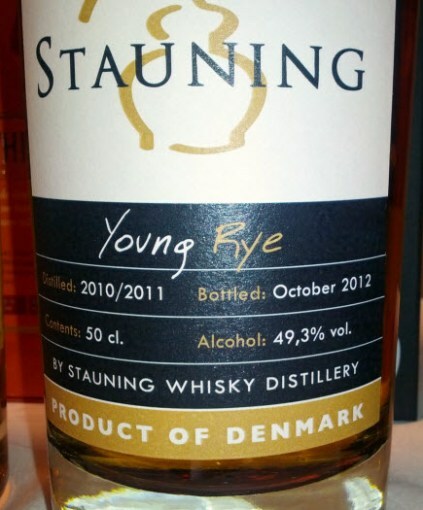 Stauning Rye takes an usual approach in using a large proportion malted rye, then matured in new white oak barrels. Next up in our Nordic Explorer‘s session was a whisky from Finland. My first introduction to Teerenpeli was their 10 year – a most enjoyable dram. So memorable in fact it was part of our top pics for the Ladies Choice evening for the BMC gentlemen. Alas we could only acquire one small 500ml bottle – not nearly enough for our combined evening – so it was not re-sampled. 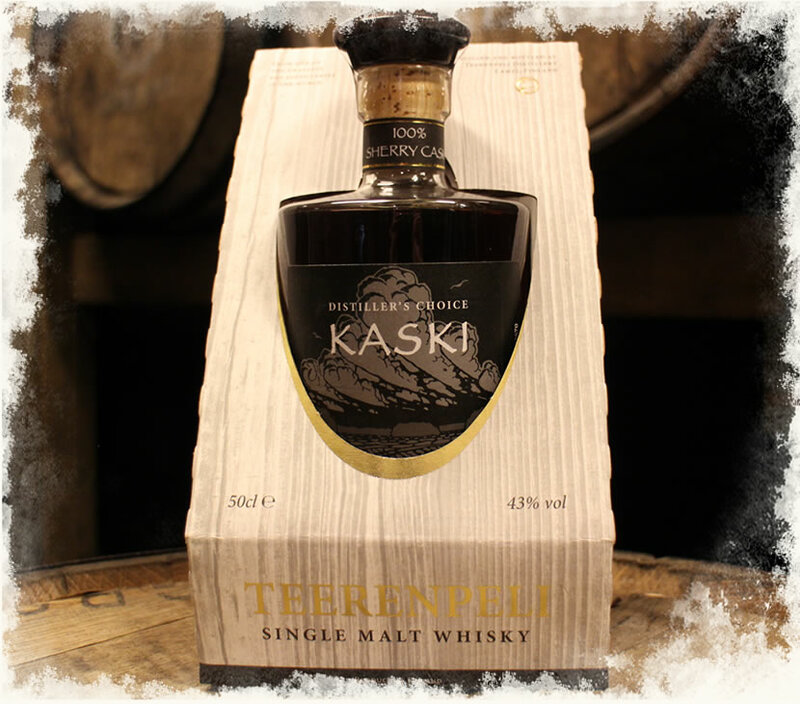 Kaski is Teerenpeli’s nod to sherry whiskies… The name comes from the tradition of first slash and burn the ground to produce KASKI (swidden) which then enables the first phase of cultivation – a new beginning. My Nordic Whisky Lady sampling companion and I were both in our whisky ‘happy place’ – you know that comfy space where you simply want to sit back, relax and enjoy. Who cared about tasting notes and nuances – this was simply a fine dram. One of those whiskies you wish you had a bottle sitting around at home to sip companionably. In short – two thumbs up! The Kaski is approximately 6-7 years old, matured in sherry casks only. In our last whisky quartet from the Nordic drams, this was by far our favourite! My Swedish friend and I took a few months break from our Nordic Explorer‘s sessions however are now back to finish the last quartet! Iceland has two new distilleries – Thoran and Eimverk – from which the later is now releasing limited early editions of their fledgling spirit Flóki. Let us be very clear – this isn’t yet whisky – more akin to new-make spirit that has touched a little wood. 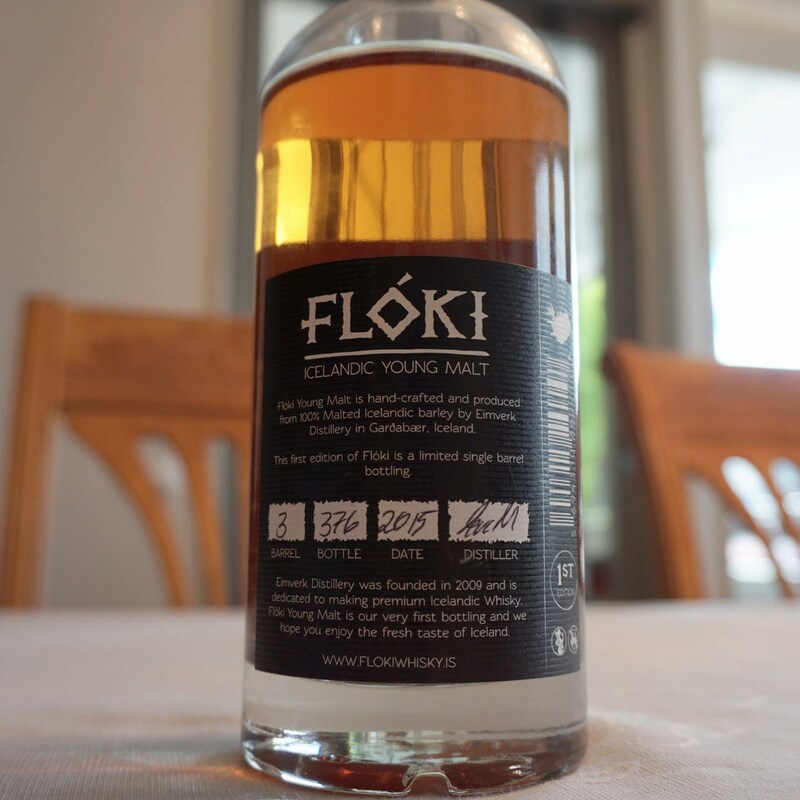 Flóki produce their whisky using 100% organic Icelandic-grown barley, malted by hand and then pot still distilled. As Icelandic barley is slow growing and low in sugars, distillers have to use 50% more barley per bottle. Overall impression my companion had was of cheap vodka or home brews of her Nordic youth… more like new make spirit or moonshine than whisky. When we returned to the Floki after sampling the other three, the aroma was almost akin to sour garbage. Hmm… definitely not what I want in my “nearly” whisky. This young malt was released late 2014/early 2015, aged from 1-2 years. I understand this particular edition was from barrel 3, aged 12 months in fresh 200 litre American Oak barrels, medium toast and char level. While in the grand scheme of things entering our 6th year of monthly whisky meetings may not seem like much, for our original Mumbai whisky club, it is still a marvellous milestone. The sincerity, dedication and creativity we bring to our sessions just keeps evolving. We put effort into planning our sessions, often collecting whiskies well in advance – as in a year or two. In 2015, I went fully Japanese sharing bottles purchased a year earlier in Tokyo. For my 2016 session, I went with Signatory Session theme. So what to do for my 2017 session? I put a cheeky twist on our most sacred of traditions – blind tasting. How, you may ask, could there be a twist to something like that? Either you can see the bottle or not. In this case, we could see the bottles but still not know what distillery we were sampling! I then added a further sneaky twist to the mix – sharing the exact same bottles in a completely different setting, different company which added a different dimension to the whisky impressions… You can read about the Bombay Malt & Cigar gents reactions here: Undisclosed Distilleries… Again! 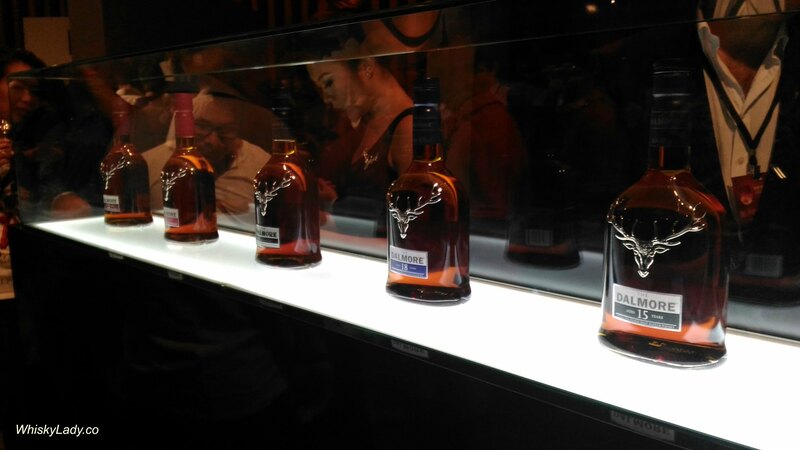 At Whisky Live Singapore, Dalmore was one distillery I fully intended to come back and spend a bit more time with… So when I first waltzed past, I had no intention of stopping as planned to return in earnest later. Except I simply could not resist a nip of the 18 year… who could? Rich raisins, dark fruits, chocolate, with a truly lovely finish! As always, at Whisky Live it is but a fleeting impression rather than full focus proper tasting. 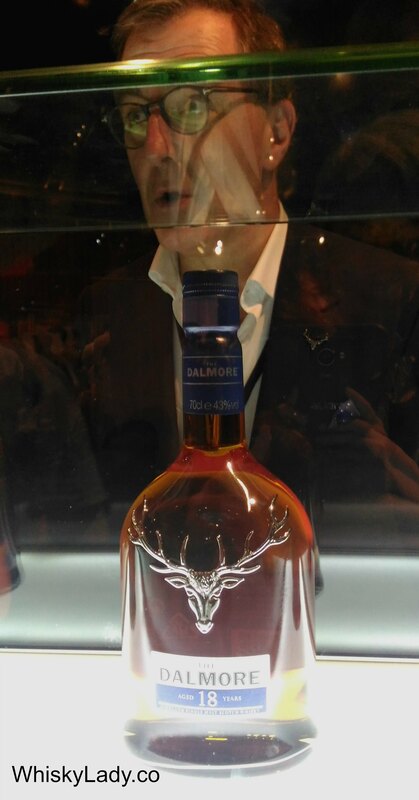 And yes – that is Jonathan Driver behind the Dalmore 18 year. In the end, I only made this one short pit stop with a quick sip without an opportunity to return. Another on the list to hopefully catch another time. An evolution of The Dalmore house style, this 18 year old expression harnesses bolder notes. A robust and formidable whisky, The Dalmore 18 year old showcases the result of extended maturation and the influence of the wood. These sherry butts from the world-renowned sherry house Gonzalez Byass are selected exclusively for The Dalmore.